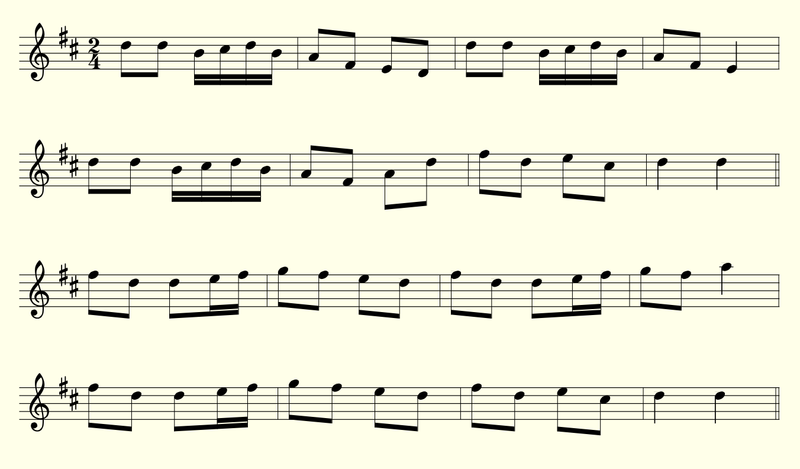 Inspired by Mark’s thoughts on embodied learning from our last post, we’ve been exploring how Carolan might support players learning new music. As a first step – and drawing on Carolan’s Celtic heritage – we set out to create a video tutorial for learning to accompany traditional Irish tunes. Next we invite Carolan’s friends Milli on fiddle and Penny on flute to join Steve on banjo to record a the tunes, repeating each three times as is typical in sessions in our neck of the woods. Our next task is to record an accompaniment on Carolan. We then edit a composite of the two videos to demonstrate how they sound together. Now we need to figure out how best to map these three tuition videos to the interactive surfaces of the guitar so as to support embodied learning. We envisage an arrangement in which the player mounts a tablet on a music stand in front of them so they can easily watch and play along while practicing. 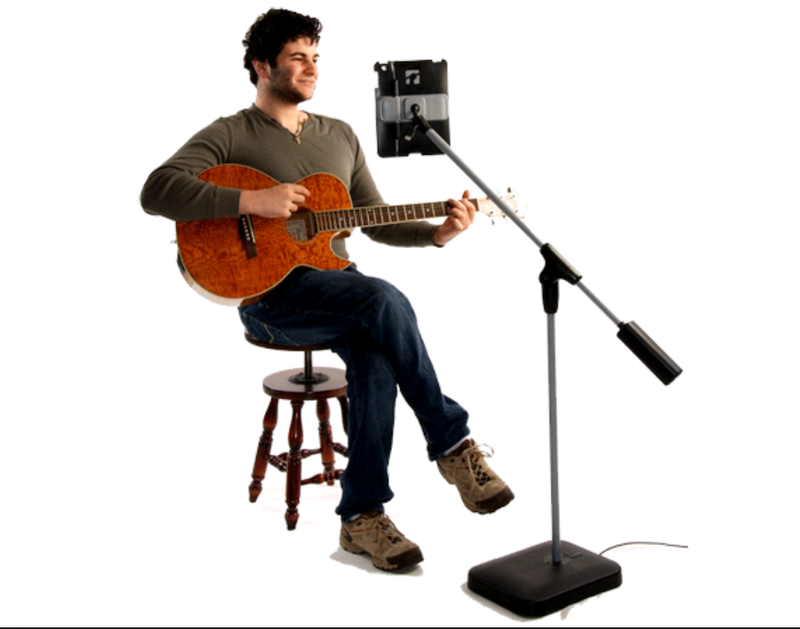 maybe something a bit like this advert we spotted on the Internet – he seems pretty happy about the set up! 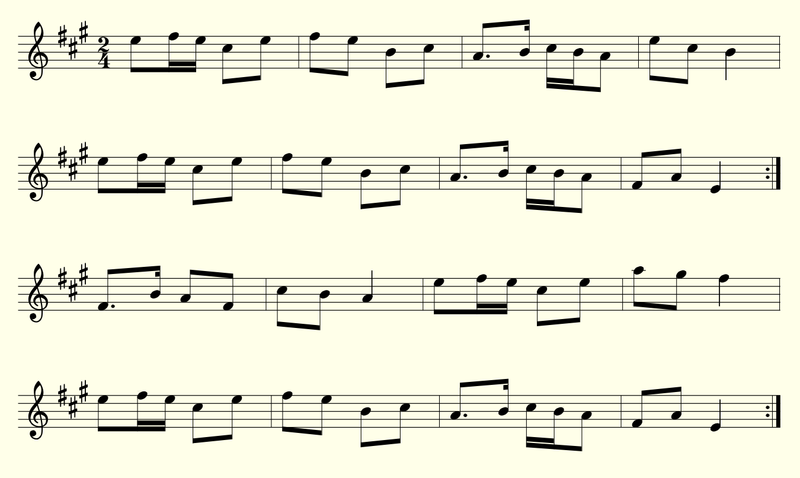 This suggests to us a mapping in which the front of Carolan becomes connected to the video of just of the melody part. If the musician sits in front of the tablet ready to play Carolan this camera might then scan the front and play back to melody part so that they can play along. A second interesting possibility is to map the back of Carolan to the accompaniment video. The player might quickly turn the guitar around to view the accompaniment. Another possibility might be to leave Carolan on a guitar stand with its back facing outwards so that Carolan plays its accompaniment while the musician plays a second instrument. 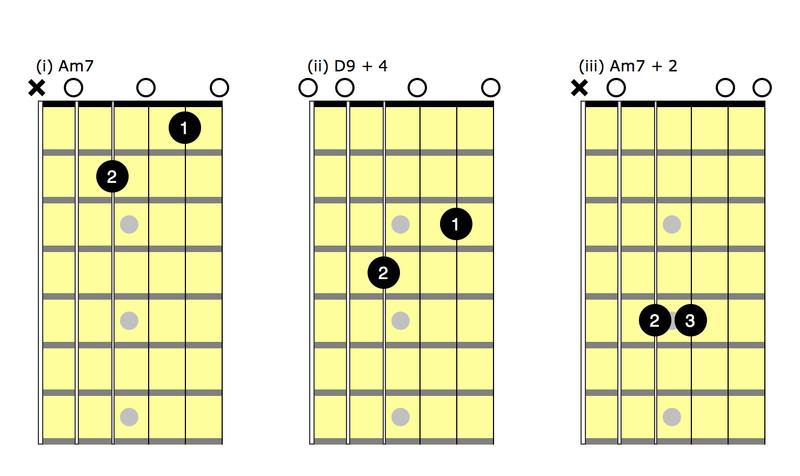 The combined video, with additional notes and chord sheets might then be mapped to a further surface – perhaps the cutaway or the top soundhole. There are of course many wrinkles to be ironed out before such ideas become truly practicable. Can tablets be mounted so that their cameras have the correct field of view and players can see the videos? How might the player smoothly initiate and control the playback of videos? However, the basic idea of placing cameras and displays on music stands, guitar stands, microphone stands and other stage paraphernalia so that they can scan different surfaces of instruments to play back different musical parts is an intriguing one. Could the the scanning of instruments in this way enhance lessons and practice or even be incorporated into live performance?